We are dedicated to making your life easier, while you help your students achieve personal success. All of our articles and curriculum materials are built on a foundation of simplicity for both you and your students. At-Risk & Title 1 Students? The story begins with a boy living in a village of sheepherders. One day, the boy was playing in a meadow just outside of the village, when he spotted a pack of wolves. Knowing that everyone in the village must hide their sheep, he ran back through the village screaming, “Wolves! Wolves! Watch out! Wolves are coming!” The concerned elders checked the meadow. No wolves. The elders assumed the boy was just looking for attention. Then, it happened again. And the elders came to the same conclusion. Then it happened a third time… and no one paid any attention. Minutes later, the wolves came through and, well… it wasn’t pretty. Did you catch the slight change in the story? Did you notice how the boy actually saw the wolves before he screamed his warnings? YOU are the “little boy!” You are the teacher warning administrators about what is going to happen (and is already happening in our society) if students don’t know how to learn. You know your students need better time-management, better organization skills, better note-taking strategies… better learning strategies. But no one seems to listen. Here at SOAR®, we have five rigorous principles that apply to everything we do. Simplicity Through Efficient Systems – We seek the least number of steps to be effective. Relevance – All products must have a meaningful purpose in students’ lives. Joy! – Seeking pleasure in life & school. Satisfaction. Ease without resistance. 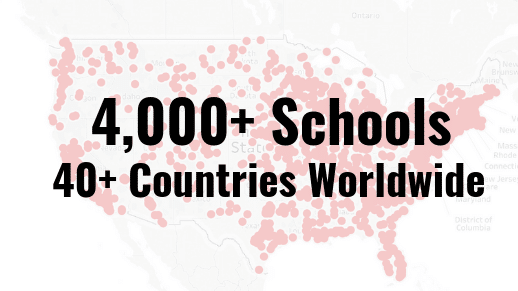 School is a place we all want to be and our resources must support this notion. Originality & Creativity – We must support creativity and student’s natural talents, while also providing the tools and strategies for academic success. Personal Responsibility – We are accountable for our own actions (including our mistakes) and insist on integrity; acting in alignment with our values. As we’ve already stated, all of our resources are aligned to these values. Do you share these values? You probably wouldn’t have read this far if you didn’t. We are co-founded by two teachers. 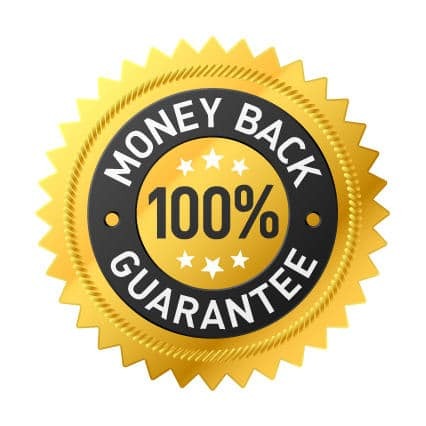 We stay connected to our “classroom roots” and ensure that our resources and service are designed to make your life easier. Experience a boost in confidence that defies measurement! 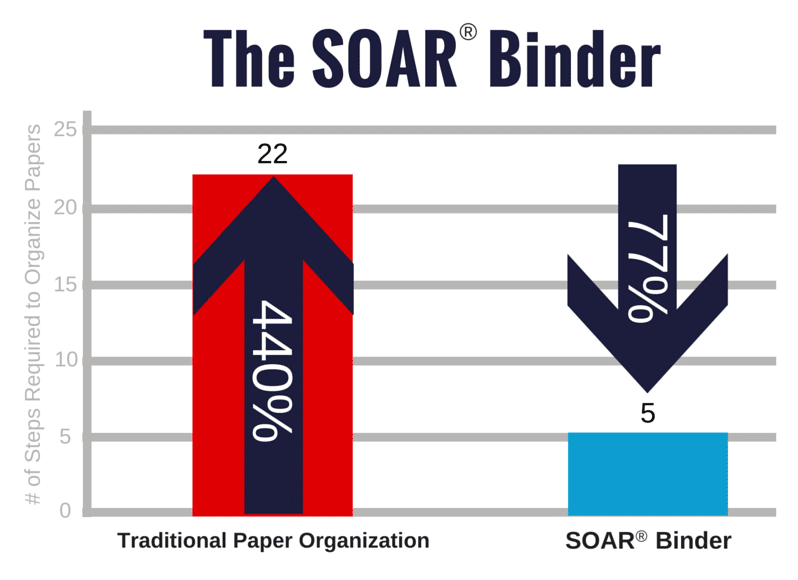 The SOAR® Binder requires 77% fewer steps, making it 440% more efficient than traditional paper-organization systems! 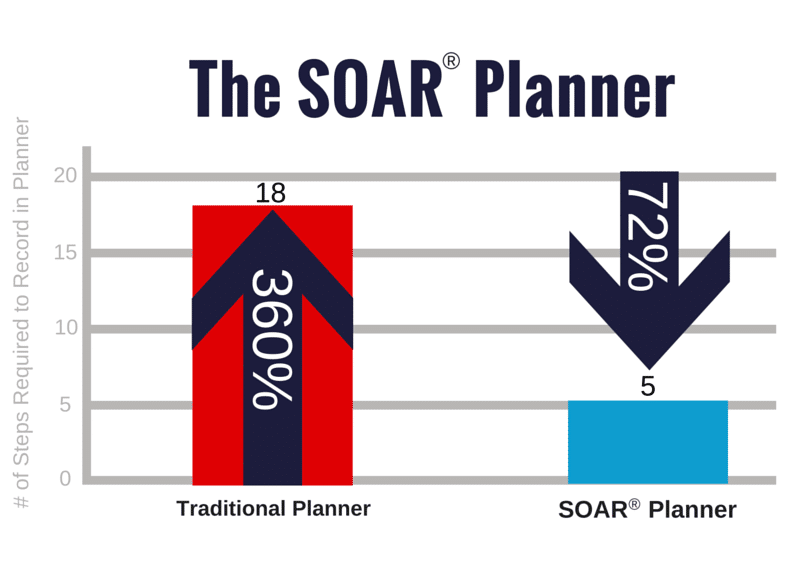 The SOAR® Planner requires 72% fewer steps, making it 360% more efficient than traditional planner systems! 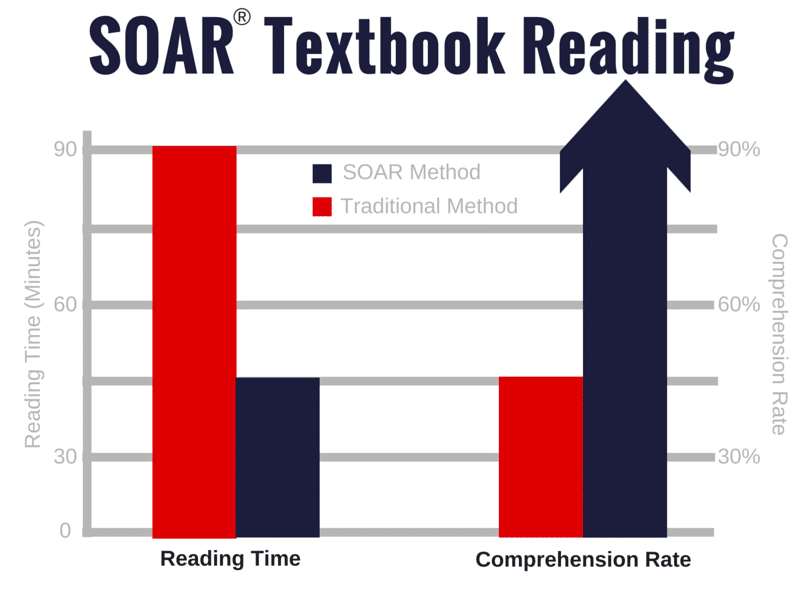 The SOAR® strategy for reading textbooks cuts reading time by 50%, while comprehension more than doubles! Despite the fact that you are surrounded by hundreds of people each day, education tends to be a lonely vocation; you spend so much time tending to students, rushing to classes, giving assessments, grading papers, and more papers… there is very little time to truly connect with your colleagues. So, we invite you to listen to the thoughts and experiences of other educators, here. 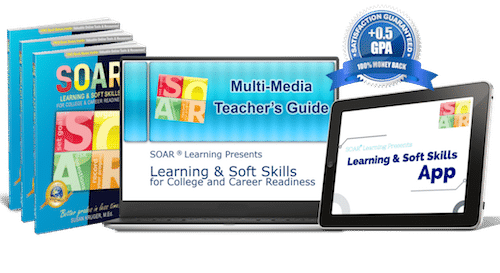 To learn about the skills students need to succeed in the Information Age, click here. Are you an Administrator? See our page, Only for Administrators.